Orlando lawyer Chad Barr will be leading an effort to bus dozens of fans and alumni to College GameDay in Jacksonville. The Facebook group “UCF to the CFP,” along with fan club “Knight Watch,” organized two buses “to show what UCF Nation is all about.” A short drive to Jacksonville built a quick roster of those planning to attend. Alumni and former players made generous donations to fund the caravan, either with cash or by seats. UCF Athletics offered to make and donate props and signs, similar to what was broadcasted last Saturday in Pullman (a flashing UCF sign), according to the group. Coincidentally, College GameDay host Kirk Herbstreit had a hot take last Saturday on the Knights that motivated the UCF-faithful to get a message across: that they won’t back down to anyone while on the path to playoff consideration. A broader ambition by those who are leading the event is to model fan activity close to what Orlando City soccer has with Ruckus Club. 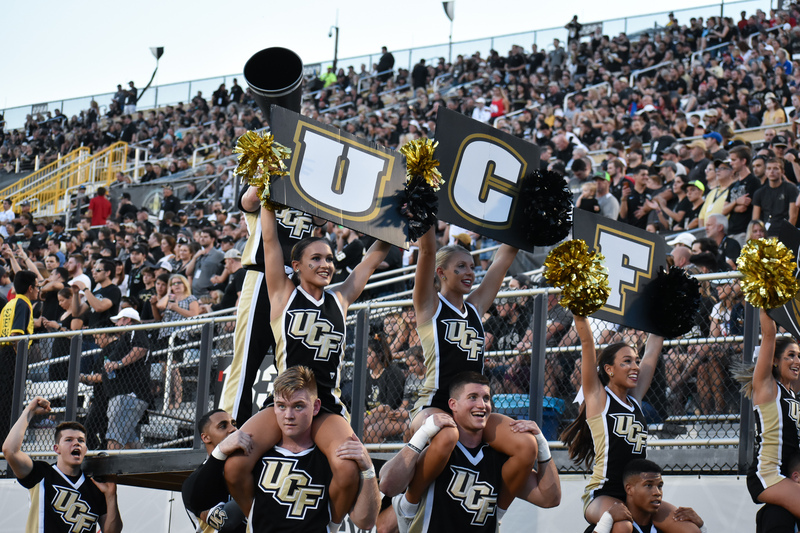 The atmosphere would change UCF’s presence at home and even away games, with recruits, fans, students, and alumni enjoying events surrounding the game. While those fans don’t plan on attending the actual game, the message they will send will hopefully persuade an audience to give the Knights a chance, the group said. ESPN will broadcast the opinion segment before the No. 9 Florida versus No. 7 Georgia matchup on Saturday. UCF Director of Athletics Danny White penned an invitation to ESPN to ‘help fix a broken model,’ referring to the Power 5 sympathetic and their opinion of the disenfranchised half of college football.